One For Lunch: Another West Australian, quirky-named Fifth Leg that’s grown to No. 3 best-selling WA brand in the $14 - $19 price range in just 10 years, has now released its first-ever single-varietal wine – all its previous reds, whites and rosés have been blends. 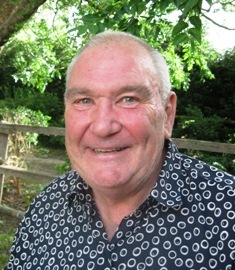 Winemaker Stuart Pym was inspired to come up with the 2006 Fifth Leg Chardonnay after being impressed with the individuality and style of a parcel of fruit he was considering for inclusion in one of his white blends. The wine is an easy-drinking, lightly-oaked and fruit-forward style – at $18.99 team it up at this time of year with a hearty seafood bisque. It made its debut only in 1994, yet in it’s short lifetime it’s become as legendary as the winemaker it’s named after, garnering 22 two Show Trophies, 67 Gold Medals and countless Silvers and Bronze from only seven vintages, and has already become a benchmark of Australian wine investment. We’re talking about Houghton’s Jack Mann Cabernet Sauvignon, a stellar wine from low-yielding, single-vineyard fruit off Houghton’s Justin Vineyard in the Frankland River area of Western Australia’s Great Southern Region. The latest release, the 2001, once again epitomises Houghton’s philosophy with this label: to lend it only to their very best Cabernet Sauvignon. The dry 2001 Spring, and even drier Summer, produced luscious-textured fruit of intense flavour that enabled Senior Winemaker, Rob Bowen to craft a wine with an enormous bouquet of blackberry, plum and mulberry, and a few hints of liquorice, truffle and bramble, plus a palate that’s opulent and concentrated. WHEN Westend Estate’s Bill Calabria let it be known he was planting Sauvignon Blanc, mates reminded him he lived in the broiling NSW Riverina, not in cooler “cardigan country” regions where the variety flourishes. But Bill proved such skeptics wrong, and for the past eight vintages has been making an exceptional Sauvignon Blanc he sells under his Richland label… to totally confound the cynics, collect 20-odd Golds at national wine shows, and see the wine shoot to the forefront as Westend Estate’s best-selling white. We have long been fans of the colourful Bill’s devotion to his craft, and his at-times audacity. It was he, remember, who made the world’s very first wine of the New Millenium, pruning select Chardonnay out-of-season, and using such tricks as black plastic and halogen lamps to bluff the vines into producing unseasonally ripe fruit he picked just after midnight of December 31 1999. His just-released 2007 Richland Sauvignon Blanc is, in a word, a stunner, with loads of tropical fruit and citrus flavours, and a pungent nose of passion-fruit, sweet pea and lime, and a balanced finish of soft acid and alcohol. And most remarkably for a wine of this individuality and quality its just $11.95 – as low as $9.95 on special – so it’s a budget match for Sauvignon Blanc’s best mate: a salad of oysters, mussels, prawns, crab and lobster, all enjoyed with a crusty baguette. ONE FOR LUNCH: Hamish MacGowan struck gold when he brought together fruit from over a half-dozen vineyards in Victoria and South Australia to create a wine for one reason: to enjoy with red meat, and which he aptly labelled Angus the Bull. His new-release 2005 (92 per cent Cabernet Sauvignon and the remainder Cabernet Franc, Shiraz and Merlot,) has concentrated ripe-fruit, mint and savoury oak flavours, once again giving him his ideal roasts and BBQ wine; great value at $12 for a 375ml half-bottle, $20 for 750ml. AUSTRALIA’s wine companies have received a unique accolade, with Hardys being acclaimed the second most powerful wine brand in the world…and seven others making it into the top fifteen of the world’s leading 100 brands. A UK-based valuation company researched 10,000 wine and spirit brands from around the globe, whittling the list down to the top-ranking Power 100 in which California’s giant E&J Gallo, that lays claim to making a broader range of wines and spirits than any other company world-wide, just pipped Hardys. The Aussie company’s success in coming second in the Power 100 list was probably not surprising, considering judging included market share and scope, brand growth and awareness, price positioning, heritage and brand perception. The company, after all, has been around since 1853, has a stable of labels from budget to best, and puts enormous effort into international sales. In the budget stakes its consistently reliable Nottage Hill range is priced at just $9.49 a bottle, while at the other end of the scale the iconic Eileen Hardy Chardonnay is snapped up at $60, as is the eminently sippable Thomas Hardy Cabernet Sauvignon at $70 – with back vintages of both fetching $130-plus. Hardys and those other seven Aussies in the Power 100 top 15 can take a bow. ONE FOR LUNCH: When Henry and Alice Reschke migrated to Coonawarra in 1906 and started a cattle stud, they also planted a small vineyard. Over the years their families put growing focus on the vines, and in 1991 started a nice tradition of making 30 cases of wine every vintage to give family and friends. By 1999 the wine had become so popular they decided to go to market with it, labelling it Koonara after the stud property. 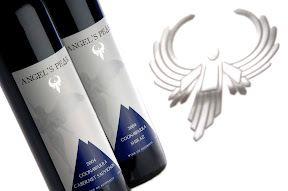 Their now-released Angel’s Peak label Cabernet Sauvignon from the excellent 2004 vintage is a sweet, soft wine with dominant blackberry and vanilla coffee flavours, making great value at just $14.95 – and ideal with a good cheese and fruit platter by the fire. ONE FOR LUNCH: Winemaker Peter Weinberg at Brand’s of Coonawarra confesses that working with the region’s Cabernet is one of his greatest pleasures, so add this to a classic 2003 vintage and you’ve got a classic wine. This one’s loaded with wonderful ripe and robust red fruit flavours, regional characters of cassis and blackcurrant, typically Cabernet Sauvignon minty notes, and long, fine tannins. If you like Cab Sauv this is a must at $22.99 to go with a generous flame-grilled T-bone or prime rib. SAUVIGNON Blanc is generally considered one of those buy-now, drink-now wines for everyday enjoyment, but over the past half-decade or so Wayne Stehbens at Katnook Estate has been creating a different Sauvignon Blanc from Coonawarra – one to cellar and enjoy down the track. He’s just done it again with his 2006, a stand-out wine that’s showing all signs of a good five year’s ageing ability. It’s quite unusual to make such a wine, and Wayne says the trick lays in early harvesting: this latest was picked in late February, whereas five or six years ago he’d have been picking it late March. Wayne’s 2006 Katnook Sauvignon Blanc was sourced entirely from a vineyard planted in 1978, and one that’s traditionally low-yielding so fruit’s harvested in three or four separate picks to allow the wine to be made in small batches. Enjoy the rich gooseberry flavours and light tropical lychee, mineral and flint character that give a crisp, savoury finish; at $26.95 it’s a good match served chilled with an asparagus quiche, or in cooler climes a hearty mussel soup.